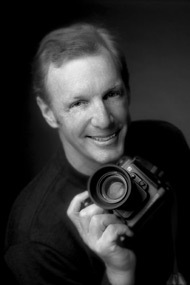 Robert Weber Photography is uniquely equipped to provide the ultimate in studio and location photography in Chicago. Large studio space with a state of the art Digital Suite, and an experienced staff, enable us to produce the highest quality images for consumer, industrial, or business to business markets. A native New Yorker, Rob got his start in his Dad's NYC advertising agency as a production artist, acquiring invaluable experience that is the foundation of his commercial photography. He is a proud alumnus of Southern Illinois University with a Bachelor of Arts degree in Cinema & Photography, and serves on the advisory council for The College of DuPage's photography program. He has photographed just about every subject imaginable, from product and location assignments, to food, fashion, and architecture. Whatever your photography needs, Rob has the experience and personality to capture the best of your product or business. Our state-of-the-art studio is well equipped to meet all of your advertising photography needs. We know that having the right equipment, space, and experience are all important aspects of getting the job done efficiently and effectively, and we've designed our studio to make sure your photography session is as enjoyable as it is productive.